….. these icons had an olive green livery with a black stripe. 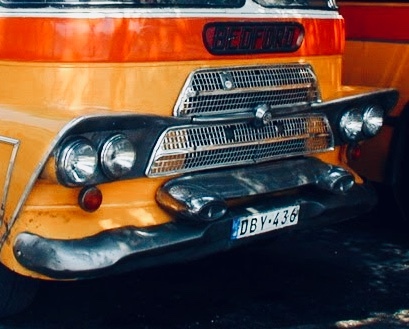 In the 1930s because of the illiteracy which was staining the Maltese population, all buses had to be painted in different colours according to the route they operated, bad luck if you were color blind.. 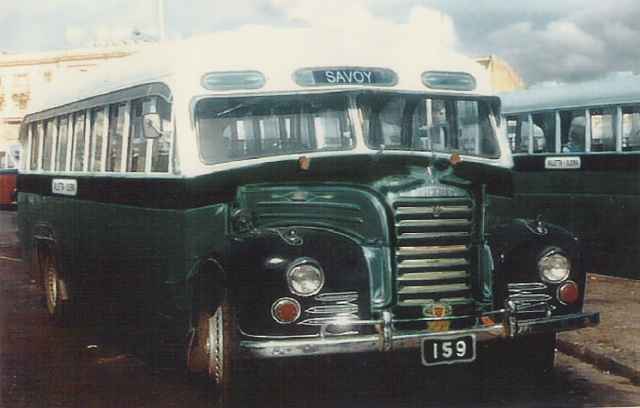 In 1975 buses were painted green again which was the standard for 20 years. In 1995 vehicles then carried a yellow (lower) and white (upper) livery, with a red band just below the window line. 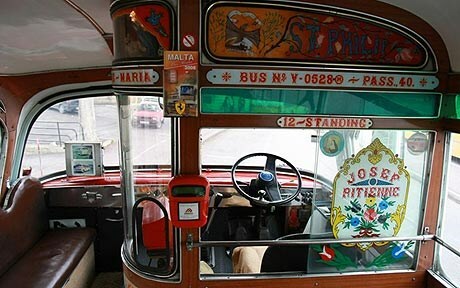 Gozo buses were grey with a red band below the window.Their mark and uniqueness was the high level of customisation and detailing. 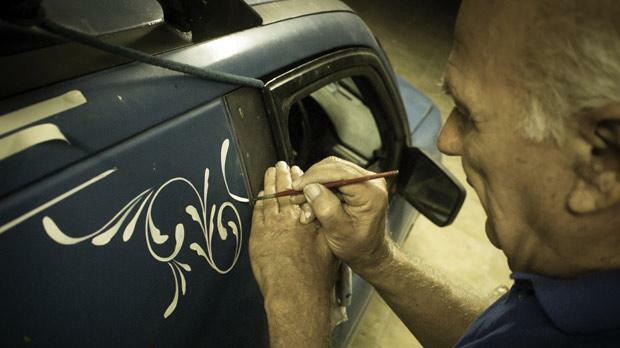 Paint detailing, both generally, and of parts such as indicators and filler caps was what we call in Maltese “Tberfil” – Lettering and design hand work. 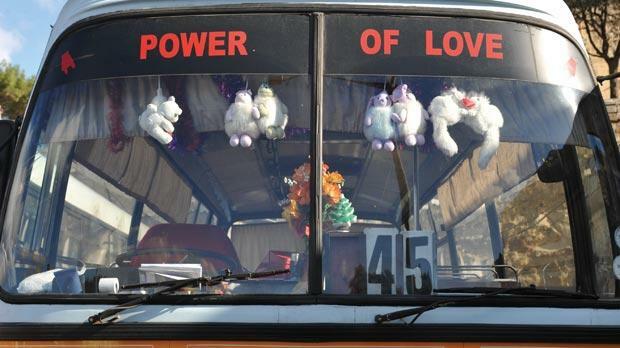 Custom passenger messages, both in the interior and exterior of the bus as well as hand written graffiti tattered the insides. Names relating to the village patron saint, monarchs, or other notable objects was also a common feature. Trimmings and hangings, inside the front window made these amazing machines – a character like no other. Slogans, murals, quotations and lucky images (such as the horseshoe)Some of the other features one could notice and smile at where the 2 seats near the driver facing lengthwise .. many loved this as the heat of the engine kept them warm. The long nylon rope to activate the bell to stop…very basic this was. Th rexine used to cover the old foam to somehow comfort the seat. The back door which was for emergency.., and the entry which had no door attached making this a safety issue. Fancy a ride now . 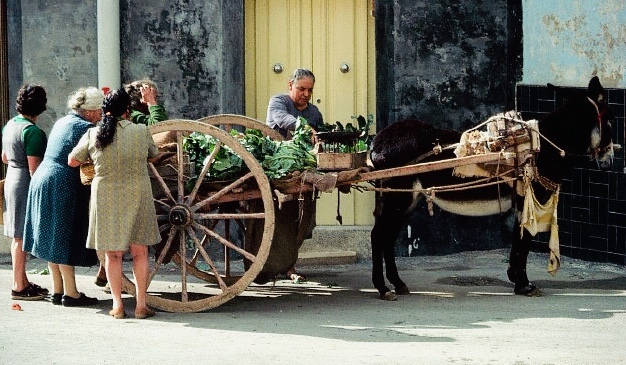 In a recent research I was doing I came across some very interesting facts about many forgotten ways of life here in Malta, amongst which were the — Steam engine — the tram — the karettun and yes, ‘tal – linja’. This amazing looking hunk of metal was in my days the method of public transport all the others I mentioned where long lost before I was ever concepted. The steam engine ran from Rabat to Valetta, the tram ran out of Valletta to variuos cities stopping in Floriana and Cospicua. The karettun was running everywhere as a method used by farmers, like the one below used by a vegetable vendor. The tram and steam engine. The steam engine or ‘il Vapur tal art’ coming from the Italian word ‘ vapore’ steam ship in English…stopped the service because it was taken over by one of my favourite machines, which for many tourists during their time where what American cars where in Cuba. The above had been my method of transport till the age of 19. It was not fun..but surely a cult. The bumps the heat or cold, cigarette smoke and dirty straw seats were all part of the experierince. Some had names others had mascots and a few where unacceptably disastrous using paragon instead of desil to move people around. The ins and outs of ……. Every one of us has some kind of fascination, and every country fascinates. Mine are variuos, of course food is one which unfortunately I cannot put aside, it has been my life for now 27 years ( well 46 years as without food we cannot survive ). One of the other fascinations I have is doors. I don’t think I’m the only one though especially anyone who has visited Malta. I must say that the local portals are impresssive. The colors and styles are what really strikes you. Few are the people that know the quirks of these amazing carved pieces of wood. 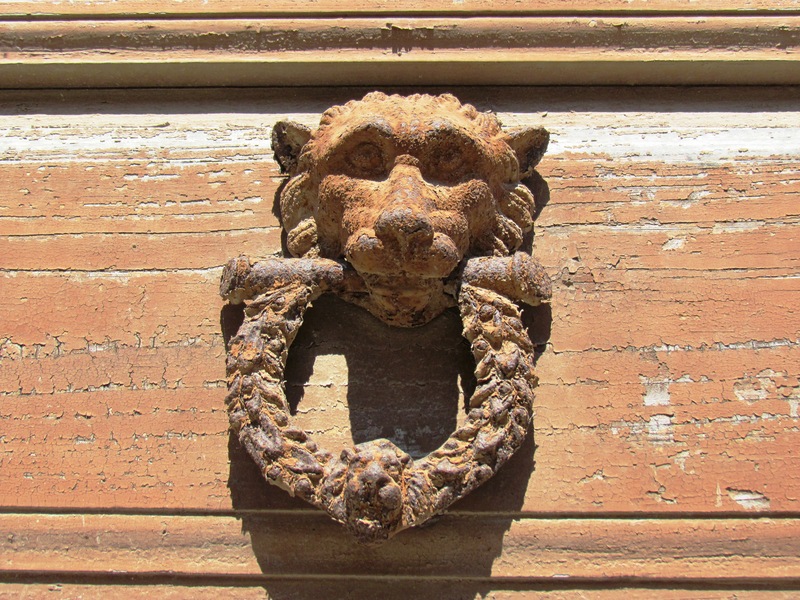 The most intriguing part of these humble abodes are the size, the color, the amazing carvings as well as the simplicity of some, the stone masonry around each and the key holes, last but not least the knockers that are so much of a collectors item now. 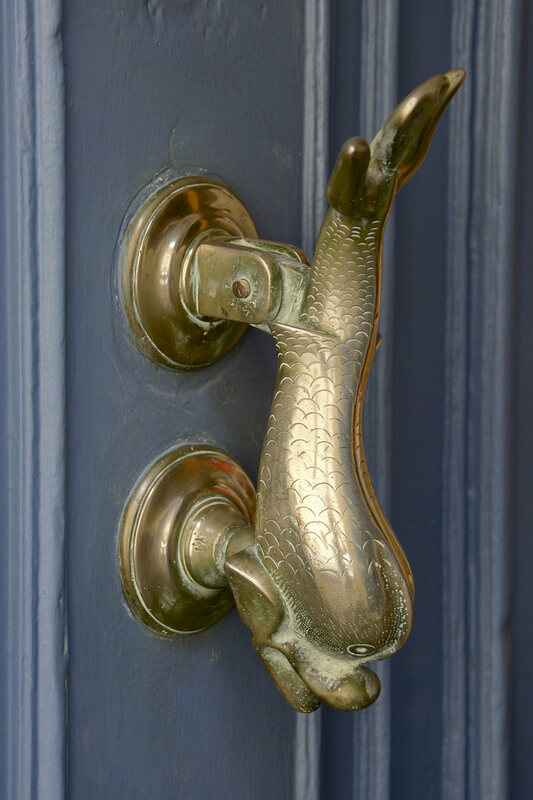 These door knockers symbolized wealth and extravaganza status, the larger heavier and shinier …………! The simpler if you had any meant lower class or none! Unfortunately with the fast pace Malta is trotting away with, many of these doors are dissapearing – many have dissapeared – burnt to fuel many of our local bakeries some of which have lost their own door now! This happened before the authorities realized that the colorful paint once burnt became poisonous! At least many others people took the opportunity to start collecting or at least recycle them as new entries for old refurbished and converted farmhouses, or the latest trend converting townhouses and palazzos https://bocoboutique.com is one of them. Boco was one of my latest projects, a challenge an amazing experience which opened and closed new doors for me in life, but if you look carefully or have the opportunity to stay there one day you will notice that for every head board in every room I recycled the doors found inside the house. And the facade in one of the best Maltese streets …. in Cospiqua. Yes the doors are the same ones. Strong as ever, back from the nineteenth century. Why Boco ? ….. if you ever ask me I will surely give you a discount or buy you a beer. 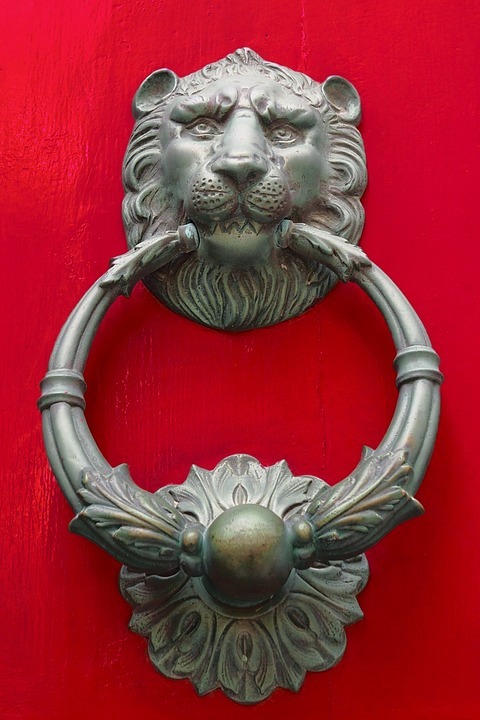 So yes doors, my wife to be Simona like myself is another door weirdo, in fact she has a red door tattooed on her arm …. and this will be the theme of our wedding! It’s been a while since I wrote a couple of lines; in fact it has been a few days since I wrote about my Malta island tours. Since then I went off on a couple of much needed breaks. Now I’m back just in time for the festive season, one which helps me recall all the good times I had through Karlito’s Way. I remember having a Malta island tours – hosting this lovely family of 5 from New Orleans. We spent a day together and we visited the main attractions of Malta, mainly Hagar Qim Temples, Mdina and Mellieha. Whilst at the temples, Mark 12, decided that he wanted to become an archaeologist. It is something that to date never happened on any of my tours where a kid was so impressed by one of our treasures, maybe he remembered Indiana Jones in one of his movies, whatever it was, it really was a great pleasure for me to hear those words and then he added ” I love my Malta island tour “. Mariko from Japan booked a Malta island tours and chose to visit some of the typical villages of Malta: Zejtun, Marsaxlokk, Mosta, Rabat and Mgarr. 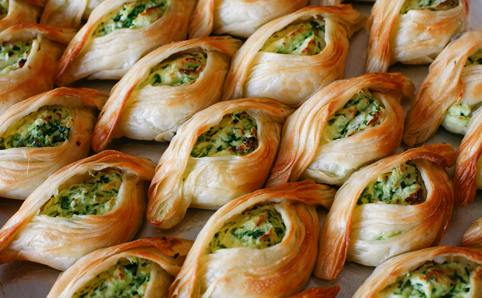 In Rabat, we stopped to eat the traditional Maltese snacks called Pastizzi. Mariko went crazy over them, to such an extent that she wanted to book another day with the Pastizzi maker to watch him go through the whole procedure. With Andrew hailing from Adelaide Australia, we visited Gozo as part of our Malta island tours too, the main attraction for him was Dwejra, Fungus rock and the Azure window. Once we got there he was mesmerized by the beauty the place holds. He decided that we had to cancel any other plans for the afternoon because he was wanted to walk around and sit on the rocks looking out at sea. I know these few stories might seem like little things to many, however, to me, especially as the year is coming to an end, they make me realise that occasionally we do take things for granted and forget the beauty that we are surrounded by; having said that, I don’t refer to just the nature here but to the love that is around us coming from the people we meet. Summer favourite tour for all the sea lovers to have an amazing day at sea on a Maltese traditional boat. Our boat tour Malta started with a pick up of my guests from their hotel it was an early one – 9:00 am. We headed off to St Pauls Bay where we had our Captain waiting for us on the jetty. Spiro was a dark skinned fisherman who had seen a lot of sun and sea – his face was creased from all the elements he had experienced during his life battling the hard seas of the Mediterranean. Every line on his face was a story he could easily have written a book! So the day started and our boat tour Malta we headed for the St Pauls Islands where we stopped at the fish farms that hold so many tuna fish. Who ever wanted had a chance to jump in and swim with these gentle giants! At first everyone was a bit concerned but once me too – but then courage hit and it was like paradise – below us we could see hundreds of tuna gliding graciously in circles wow what a sight! We started feeding the Tuna with frozen Macharel. This was a frenzy! We could not get enough out of this experience! Kilos of fish were being eaten by these super stealth fish; each one was over 500 kilos and at no point did we feel threatened! The boat tour Malta was already complete but we headed off soon after all the fish was eaten; we headed for our next stop Comino Blue lagoon; Spiro though on the way took us to some of his favourite spots including one underwater cave that was a shot location for the famous movie “ The count of Montecristo “. We eventually had lunch served once we got to the blue lagoon which was a selection of cold dishes I had prepared the day before – we had “bzar biz zalza”, hobz biz zejt and “balbuljata”. This was just what the doctor had ordered – and to wash it down with a bottle of red Malta wine – Superb!! After a swim in the crystal waters we continued our Boat tour Malta with a trip to close by to the lovely cove of ‘Dahlet il Qorot ‘ in Gozo. This is one of my favourite bays in Malta and is also included in one of the Gozo tours. On our way back Spiro decided to fish by trawling method this was a method used for many centuries were a fish or feature camouflages a hook that is then used to catch the attacking fish. In within 5 minutes Spiro had a bite and managed to catch a ‘sawrella’ – lovely yellow golden fish used for grilling! Was this his lucky moment? We had decided to meet up in Rabat for a few Malta cheesecakes and a tea before we embark on our Malta nature tour – April is the best of time to enjoy the many wild flowers that are growing in the Malta and Gozo landscape. We met at tas serkien in Rabat and after our quick snack we left for Mtahleb – Our Malta Nature Tour would be one of the best; we arrived on sight around 6:30 am when the birds where already buzzing around us. We continued towards il blata il bajda tal melh and on the way there one could really appreciate what fauna we have on our islands and how beautiful this season is – my guiests from Holland where just flabbergasted with the wild flowers and plants one could smell, see and also taste! This was my first Malta Nature tour but definitely not the last – this came as a surprise to me also because I never knew we had so much fauna in the wild – Malta was like a secret garden! Rough poppies, sea daffodils, wild thyme, fennel, sulla, rice grass, Spanish welch, these were some of the fauna we came across. Our Malta Nature tour continued with a stop for a cool drink in one of the caverns on the cliff side as it started to rain; we noticed that a fisherman was already putting down his ‘Nasses’ to take his catch of Vopi. Everyone was waiting in anticipation to see if our new friend had caught any fish so we waited abit more until we continued on our tour. He was reluctant to join us on our Malta Nature tour so he could show us an interesting spot which few people knew about. While we were walking along the cliff side we noticed that a few meters away a wild rabbit was munching away on some grass – but it immediately shot off before we could even make a step forward. Wow that was fast! A few days back we had a 2 day tour with a very interesting couple and friends for a Fun day guided tour Malta and Gozo! This tour was an impromptu scheduled day – with no set itinerary. My guests just wanted a few days where they could really just relax and have fun with no where to go but rather just explore – I especially loved every minute of it and I am happy to set it as a new tour on my schedules. 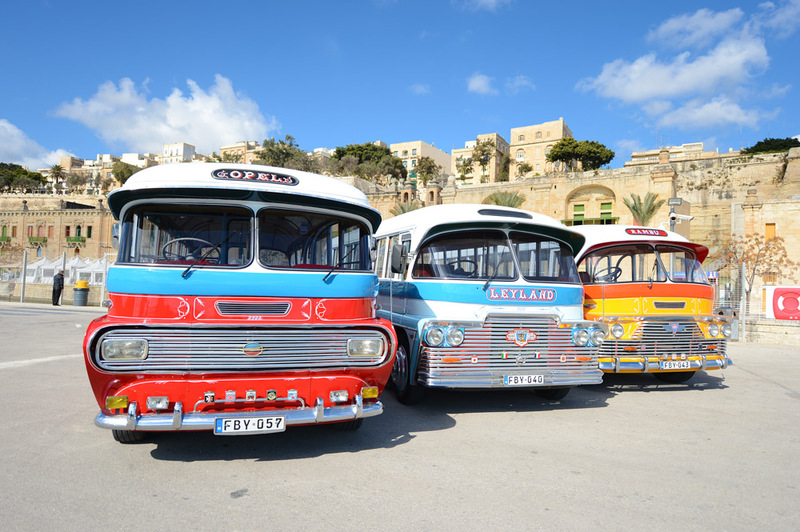 The Fun day Guided tour Malta and Gozo event started at around 10 am when we met up in the foyer of the hotel my guests where staying we had a fun introduction and after got into our cool van and headed off to the first visit which was Qormi – I love this city because it is a hidden Gem. We met some locals there – and also managed to do some local ‘pastizzi ‘cheesecakes made of ricotta wrapped in a flaky pastry – yummy! We also managed to wash them down with some local lager ale served to us from one of the bars next door. On every private tour we have we always have an element of this free no set itinerary but I never had a full day so our Fun day Guided tour Malta and Gozo was such a special treat for everyone … we continued towards Marsa xlokk where the local fisherman were manning their boats to head off to fish – some were also heading off for some lunch at home before getting back on the sea. One fisherman took a liking to us and invited us over for a plate of ‘Aljotta’ or what we call bouillabaisse in the culinary world. We made a 50 meter walk into town to Gianni’s modest house; his wife Mary had already prepared a massive pot of soup which I think was made for the next 3 days ahead! She explained to us that they only ate fish and some vegetables – no meat! They believe that meat is a heavy food and does more harm then good! She finished off the soup with lemon squeezed into the soup and mint cut fresh from the garden at the back of her house. Wine flowed – but I kept back! I had to drive but the rest of the party loved every drop – we had to continue on our Fun day Guided tour Malta and Gozo – but Gianni insisted that we head off for a ride in his boat; Gianni was a character and was kind of disappointed when we said we could not; due to one of our guests feeling not to confident being on a boat after drinking wine! Gianni reminded her that sailors drank rum from morning till night – he drank wine!